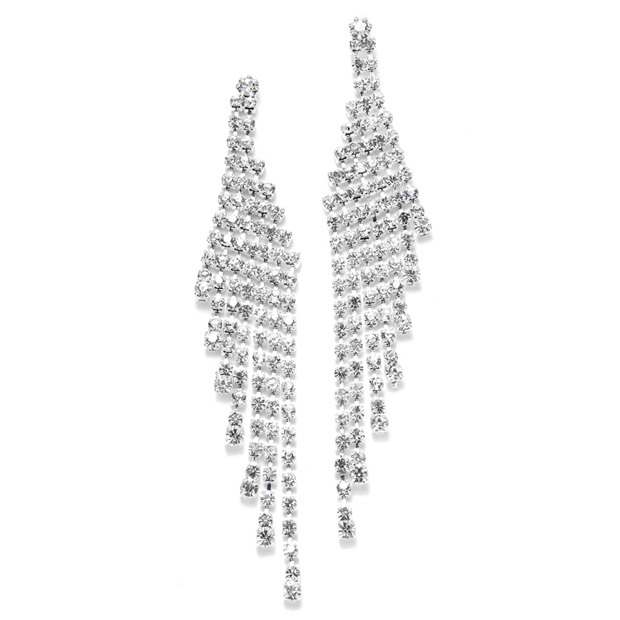 * Mariell's rhinestone earrings cascade a dramatic 3 3/4" to light up any special affair at a fabulous price! * Plated in silver, these rhinestone shower earrings are just right for a strapless! * Add a chic Mariell bracelet and you are perfectly accessorized! * Mariell's enticing rhinestone cascading earrings will illuminate any wedding, prom, homecoming, pageant or bridesmaids. * The long shower of rhinestones looks fabulous with a strapless or low cut dress where our dramatic wholesale earrings are just the right accessory at an fabulous price!